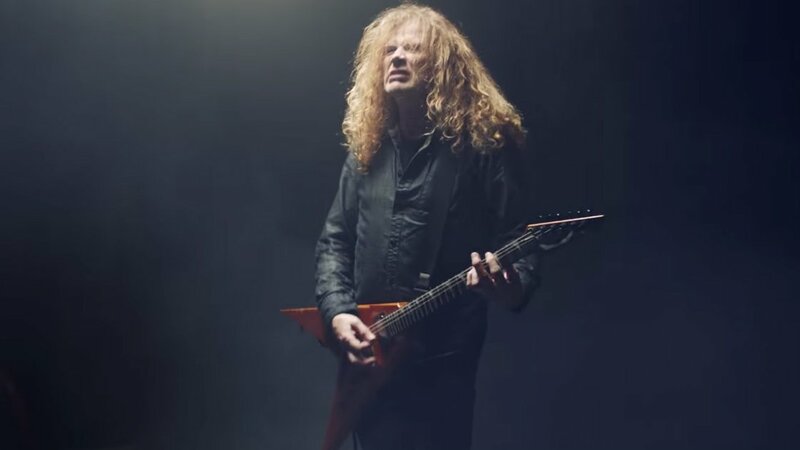 Metal group Megadeth make a strong statement about the current affairs in the U.S. in their music video for "Post American World," a track from their 2016 album, Dystopia. Watch it above, courtesy of the band's YouTube. Keeping with the song's theme, the video features the band playing the song as images of money, oil, corrupt businessmen, and American institutions flash across the screen. Dystopia is currently available on Amazon (Vinyl, CD, MP3). You can also stream the full album and read our review here on Zumic. Megadeth has also added 2016 tour dates for North America as part of their Dystopia World Tour with Amon Amarth, Suicidal Tendencies, Metal Church, and Havok. For more information about that, as well as the band's latest music and news, check out their Zumic artist page.